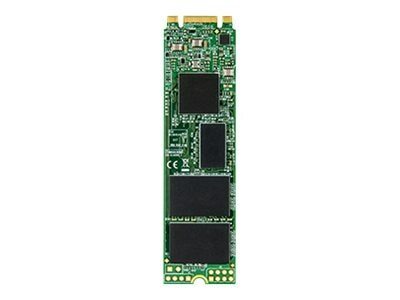 The 240GB MTS820 SATA 6Gb/s M.2 2280 Internal Solid State Drive utilizes a SATA 6Gb/s and ultra compact design to address the high-performance needs and strict size limitations of small form factor devices. By using only high-quality flash chips and enhanced firmware algorithms, Transcend's MTS820 delivers peerless reliability. Engineered with a RAID engine and LDPC (Low-Density Parity Check) coding to ensure data integrity, this solid state drive supports Device Sleep Mode (DevSleep) to prolong notebook battery life by intelligently shutting down the SATA interface when not in use.